Munich - The manner in which Bayern Munich systematically dismantled Arsenal FC on their own London turf in Tuesday's first leg of their UEFA Champions League last 16 encounter was further confirmation of the Bundesliga leaders' credentials as a top-ranking contender to go all the way in Europe's elite club competition this season. On Thursday morning, however, it was back to the usual bread and butter at Bayern's Säbener Straße training headquarters. 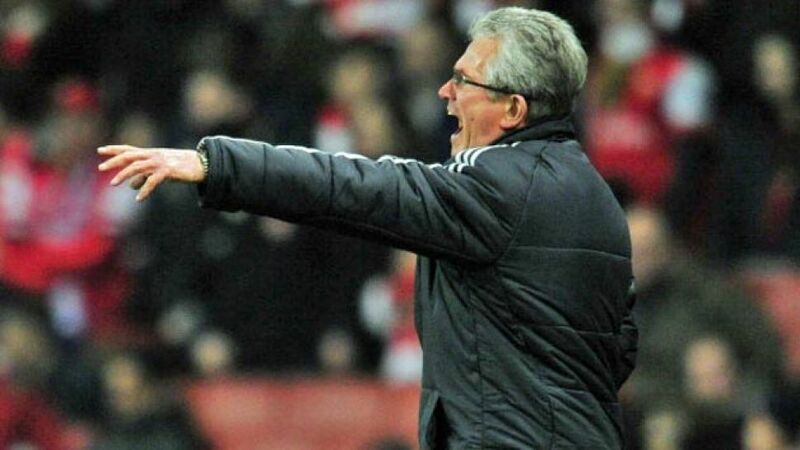 "You can't just revel in matches like that," said head coach Jupp Heynckes. "You start analysing things, thinking about training and what might happen on Saturday. My team were great [on Tuesday] and we've taken a big step towards the quarter-finals [...] I’m only thinking about Werder Bremen for now." So it's all eyes on Matchday 23 and the visit of Bremen for Heynckes' men, who, with closest pursuers Dortmund and Leverkusen both playing on Sunday, have the opportunity to stretch their lead at the top of the table to a lofty 18 points on what will be the 67-year-old's 1000th Bundesliga match as a player and coach. "It’s a staggering number, and shows how many years have gone by," he reflected; "I would never have dreamed of it as a player. It’s enough material to write more than one book on, not that I'm going to." Heynckes‘ counterpart this weekend, Bremen coach Thomas Schaaf, has already spoken about the "enormous level of self-belief" running through this Bayern side, explaining how sitting back would be criminal against such formidable opposition. Accordingly, the Green-Whites plan to "take an active role and seek out chances" - no easy task against the seemingly unstoppable Reds. One league defeat, two draws and seven goals conceded all season are just a handful of daunting statistics the men from Munich carry around with them these days - and then there's the Bundesliga’s top scorer Mario Mandzukic (15) and the league's all-time leading foreign goalgetter Claudio Pizarro. The veteran Peru international bagged 89 of his 160-goal tally to date in two spells at the club on the banks of the Weser, covering six years in total. "Of course it's a special game for me, but we're at home and playing really well right now," said Pizarro, highlighting Bayern's flawless record since the start of the year. Little wonder, then, that the 35-year-old, although still to feature in 2013 for the Bundesliga’s London looters, "fully expects to win" and make it a league double over his old flame on Saturday.